Lying on the south-west coast and on the border with Huelva, Sevilla and Malaga provinces, Cadiz has beautiful rural and urban Boutique Hotels and B&Bs. An autonomous region of long, white, sandy beaches, Andalusian horses as well as the white village route and a gastronomy of fabulous fresh fish and fine wines. Cadiz city is the place to visit wine Cellars and taste their wines but also its famous carnival and fascinating history. 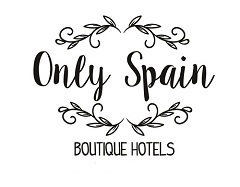 There is a great choice of boutique hotels, we just haven’t got many hotels there yet, as its the furthest province in Andalucia from our home. But keep on checking as we are constantly checking out and planning to visit hotels. It’s the furthest province from our home in Jaen and one that we know least within Andalucia BUT we’re on a mission to change that! Our first hotel in the collection is also the longest running rural hotel in Spain and the oldest hacienda – estate in Spain. Without further ado and we hope with many more visits to Cadiz we leave you with the lovely…..
Head to the Boutique Hotels in Andalucia page.